Hey friends! My family and I are back from a four-day trip to Seattle, where we were for a family wedding. Man, do I love that city! 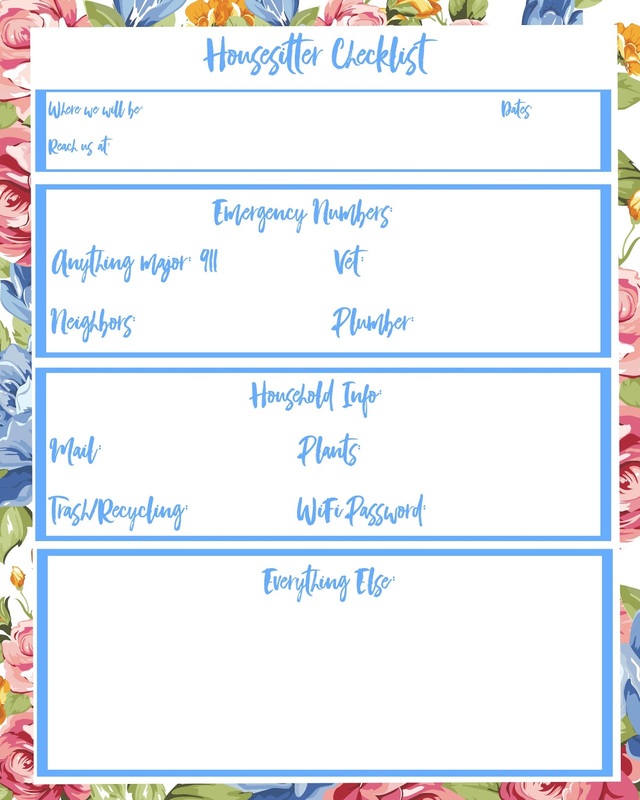 Anyways, when we were going over everything with our housesitter I kept saying "don't worry, I'll write this all down...." and I had every intention to, except then I thought it would be simpler to make a template on the computer that I could just fill in every time we go somewhere. When I was creating it, I decided to create a blank version to share with all of you. Simply right-click to save it to your computer, and print. I hope you enjoy this and get some good use out of it!